You are back with us, Niki and Ivan, which means 3 things. First, you must be a decisive and responsible person. Second, you must have read the previous article and you already know for sure what your dreams are. And last, you are eager to find out what you can do right now, today so that you can start turning dreams into reality. That’s great! That’s exactly today’s topic. Stay with us and in only a few minutes you will have a working strategy! So, you already have a long-term vision for next 25 years that deals with the most important aspects of your life. It gives you direction, confidence, and focus. Now it’s time to act. “Goal Buddy” system begins with designing the 90-day action goals. You must be asking yourself why exactly the 90-day action goals? What is the optimal time frame? Almost everybody starts the New Year armed with a list of resolutions. People are filled up with a determination that this year will be theirs, that they will be perfect in any aspect. The objectives are chosen, even written down – daring, and ambitious, and such that they will make the person number one… And in a couple of weeks, they are all but forgotten. Statistically, between 80 and 95% of New Year Resolutions fail in the very beginning. What’s the problem? It has been proven that the one-year time frame is ineffective. The reason being that it is way too far in the future to be a truly motivating force for immediate action. The story goes like this. You put off working on the resolutions because you have plenty of time till the end of the year. Later you lose focus and they go on the back burner. Time passes and eventually, towards the end of the year, you haven’t achieved anything. You even give up the idea to have a late start. You just move these goals straight into your next year’s list with the same intention to be Number One..! An optimal time frame in which you set up and achieve your goal. In “Goal Buddy” we call it the 90-day period. It is long enough for your actions to have an effect. At the same time, it is short enough to get you moving right away. Imagine you delay your 90-day goals with 2-3 weeks! Then you find yourself at the end of the first month – 30% of your time is gone! This fact has the psychological effect of forcing you to jump into action. First and foremost is to limit the time frame to 90 days. Goals could be smaller, i.e. they could be accomplished in less than 90 days. But they could be too big and technically unachievable in 90 days. Then you simply break them down into subgoals or give them a format that can fit the time frame. So, we got you convinced of how useful a 90-day goal is. What would be your approach now? You will succeed no matter what if you follow the directions below! We will show you how to lay the foundation, a.k.a. to formulate the objectives correctly. And that’s the first step. Then comes the second step – real actions. Well, you will have to do this one all by yourself. We will help you with the 3rd and last step – measuring progress. We begin now. If you don’t phrase your objective clearly it will backfire. When laying out the 90-day action goals it is key to formulate them well because it will determine your success or failure. Let’s have a look at an example of a badly worded one: “I want to lose weight.”. There are no specifics in it, no measurement (how much to lose, how can I find out if I did in fact). Nor is it placed in a time frame (till when I have to slim down)… To put it bluntly, it isn’t a goal at all. We will try something else! You can’t control the end result. What you can control are your actions. That’s why the correct definition of the goal should be oriented towards your actions – they are completely in your hands. If they lead you to the desired effect then you know you are on the right path. If not then you can adjust and build over on them with more actions so that in the next 90-day period you do better. This is the reason why “Goal Buddy” is called “90-day action goals”. Our example would be perfect if it sounded something like this: “I want to exercise 3 times a week in the next 90 days.”. And then you add: “The sought-after side effect of reaching this objective is to lose 10 pounds.”. The goal is divided into two: actionable part and desired result. It’s specific, measurable, fully under your control. At the same time, the result is to be expected within some boundaries. So, if at the end of the period you look back then you will see that you have done everything you were set to do. You may not have lost exactly 10 pounds but this isn’t a failure either. On the contrary, you would have completed the job of acting towards the goal. You would also know that in order to lose more weight you will need to improve on your actions in the next 90-day period. The correct formulation of the goal is a cornerstone in building up your success. It must be specific, measurable, under your control and depending on your activity. Exactly because it’s you who is acting you have to be careful to set the goal in a way that it doesn’t depend on the actions of other people. Your goals are in your hands. My goal was to trim down to 200lb. I was trying hard, spending long hours of exhausting exercises. I was fully committed to the idea to lose weight but it wasn’t happening. In spite of all my efforts I had to go through periods of failure after failure – the coveted number didn’t show up on the scale’s display. This put my motivation into a tailspin. I even convinced myself into limiting beliefs such as slow metabolism, genes, etc. All of this was steadily pulling me further away from my goal. I started little by little to put in less energy until one day I found myself at the very beginning. The lost pounds were back. At that moment I changed my approach and defined the goal differently, “I want to exercise 3 times a week in next 3 months”. I started immediately doing exactly that. I was measuring my success not by pounds lost but by my actions in accordance with the plan, namely the number of exercise sessions I had. Results followed at the end of the very first period. This motivated me to continue with the exercises in the next period, and the next one… The outcome was exceptional. I did slim down, got into a smaller size, and I felt proud of myself. I am satisfied that I was and am doing everything that depends on me, I am dedicated to the end, and the results are even better than expected. All of this is thanks to the correctly formulated goal – simply because it is entirely up to me and nobody else. You have to look back at the end of each period. The goal was defined properly, real action followed but you still want to make sure you did everything that was up to you, that you finished them in such way that you achieved your action goals. Measurement is easy when the goal is explicitly stated: you report back to yourself whether you worked according to the plan and with the required frequency. If yes then the goal is achieved. But equally important one is to celebrate the success. If you are like most people then it’s rarely that you consciously congratulate yourself for the achieved or that you are proud of your accomplishment. Usually, you focus on what’s left, the small percentage of the unfinished instead of on the larger and already conquered part. This may set you back and be an obstacle to your future drive for bigger success. Why? Because you are hypnotized by the gulf that separates you from success and you are scared to take off. The way to progress and evolve in life is to accumulate confidence. This happens when you keep in your sight what you achieved and not what you haven’t yet. That’s how one gains the courage to soldier on towards the goal. Acknowledging progress and positive attitude towards the covered distance will bring confidence and self-respect. You will be brave enough to take on your wildest dreams, to go ahead in bold and big strides. There is an American saying: “The only time you should ever look back is to see how far you’ve come.”. I believe in the power of the positive attitude to pave the way towards biggest goals and boldest dreams. One of my visions is financial freedom. Before we developed the “Goal Buddy” system, there were periods when this looked quite distant. I had debts, including credit card bills, I was falling behind. But I did the first step: I crafted carefully the goals for achieving this vision. I designed multiple strategies and started applying them on a regular basis. Step by step, period after period, and without much stress in everyday life I was making progress much faster than previously planned. I managed not only to pay back all of it but also to move into investing. Only a few years ago I couldn’t dare even dream that I would achieve so much so soon. It looked impossible! But here it is, I effortlessly got this done and now I am fully in control of retaining my financial freedom. Looking back I realize the enormity of this achievement and I appreciate how much hard work it cost me… There is a good reason I want to keep this attitude as well as the confidence in my own abilities – one can fulfill the most ambitious dreams when armed with a positive affirmation. Achieving these and many other goals are happening thanks to the system “Goal Buddy”. We share on a weekly basis our progress in the 90-day action goals as well as we support each other. You will read more on that topic in the next article. Vision per se is great – it gives you direction, confidence, focus. But with no action, it’s only a dream. There is little that separates you from your dream, less than you suspect. Consider carefully what steps are needed to get closer to it! Break them down into specific 90-day action goals! Focus on actions that depend only on you! Keep in mind that the desired effect of these actions will be within a range! Start right away! Do act period after period! Do adjustments as needed! You will witness it happening! That’s all! In our next topic, we will discuss how to use the power of small steps and get closer to big and bold visions. 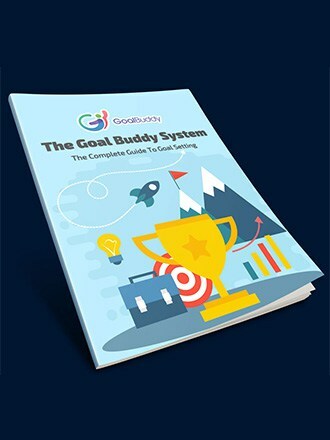 We will lift the curtain on more details of “Goal Buddy”. Follow up and don’t forget to share with friends! You too can do your share for a much greater number of successful people! SMART – method for goal-setting. According to it objectives have to be formulated in such a way that they meet the criterion in the abbreviation, “Specific, Measurable, Achievable, Realistic, Time bound”.